This is one of the most useful online resource i've found till date . It has helped me to learn a lot . Thanks for sharing the information . Finding your book is exactly what I needed. Although I have only read the introduction, I am certain this is a book that will help me to understand and implement SEO. Having recently learnt the basics of website building, the information in this book put forward in such a simple,easy to understand way is super! Many,many thanks for understanding newbies and of course everyone else wanting to learn SEO! Yes, sure the book is now available in PDF format. I just met this book. Considering the last change to google penguin 2.0, the techniques described are valid? Thanks for providing a guide as extensive and greetings. Has anyone been all the way through this training yet? Does anyone read or moderate these comments? Hello. 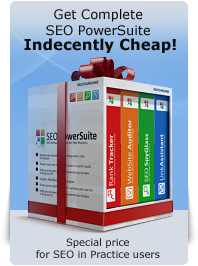 This is a free SEO book for all and everybody to learn more about SEO or just reinforce their knowledge. In comments you can ask questions and make sure to the get the feedback. Thank you for this.I'm really looking forward to read this book! My first comment on this site. I look forward to a good outing with this wonderful material that has just started to get me involved.